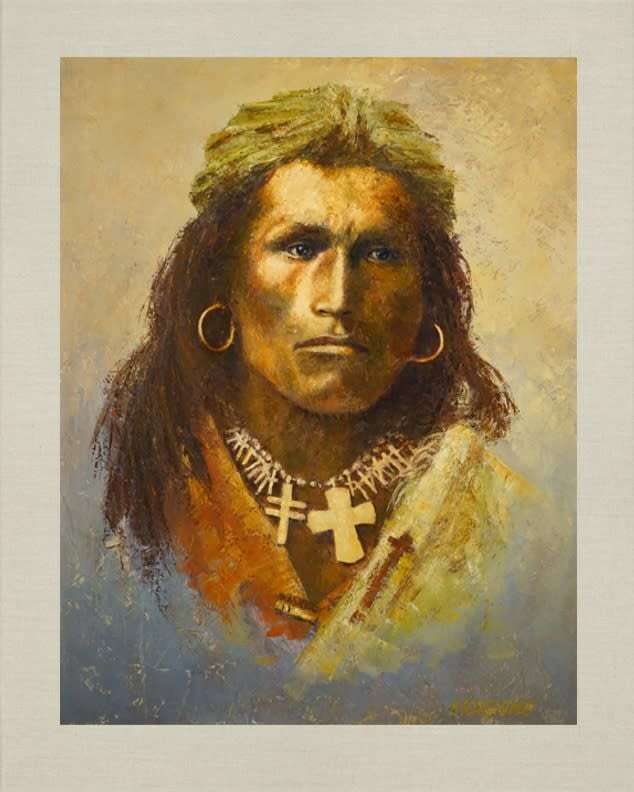 Tom Torlino, a member of the Navajo Nation, who entered the Carlisle Indian School in Pennsylvania on October 21, 1882 and departed on August 28, 1886. 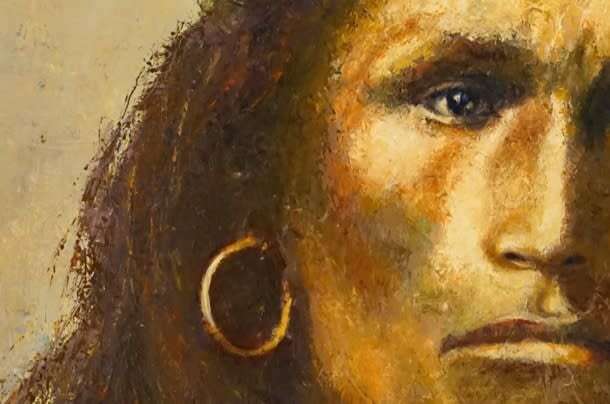 You might not have heard of Tom Torlino, but you've probably seen his picture, it shown for years as an example of what white man's education could do for the Indian. 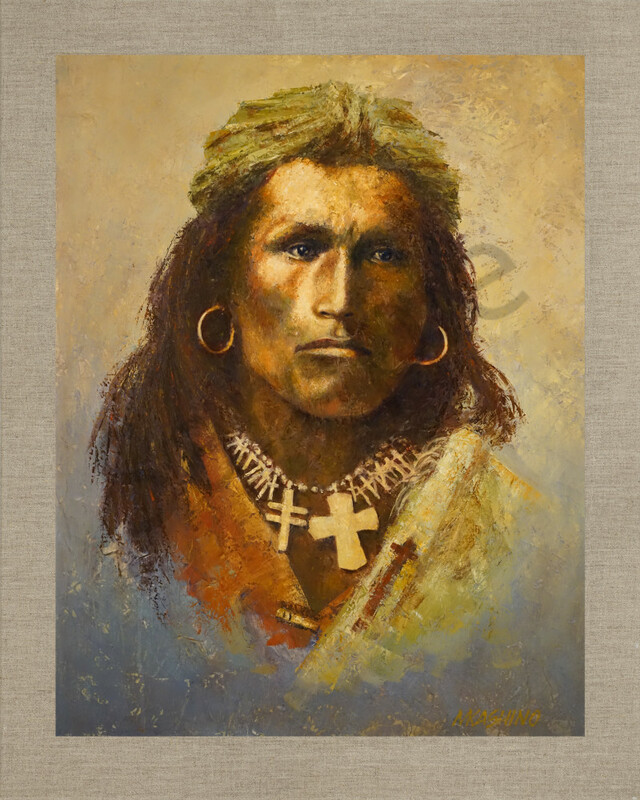 In the "before" picture, taken in 1882, the handsome young Diné is a model of the noble savage, wrapped in a blanket, sporting a huge necklace, his long hair draping past his shoulders. Three years later, his Western-style education nearly complete, the school photographed Torlino again. His sleek black hair is short and parted, he is wearing a suit and tie, and his skin tone appears to be several shades lighter than in the first photograph, as though his education actually had turned him into an Anglo (modern photography experts have speculated the photographer used a green filter when taking the original photograph to darken Torlino's skin). The pictures were often used in conjunction with the school's assimilation-based motto: "Kill the Indian, save the man." But the fact is, Carlisle never did kill the Indian in Torlino. Taken by photographer John Choate in his Carlisle studio in 1882, this "before" photo was taken when Tom arrived at school, just a few years after it opened in 1879.